The Long Island Sound Report Card tracks and publicizes the ecological health of Long Island Sound. 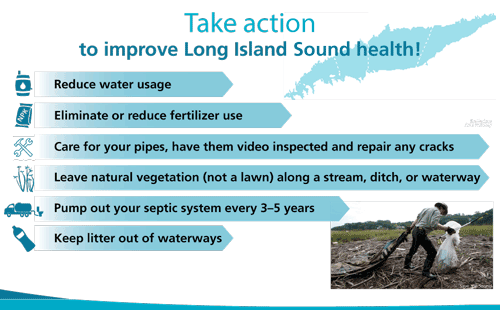 Every other year, Save the Sound assembles water monitoring data and, using an assessment methodology designed for the Report Card, scores water quality in five regions of Long Island Sound. We bring the results to elected officials, environmental agencies, and the general public as part of our ongoing work to catalyze improvements in ecosystem health and promote restoration projects and investments. The Report Card measures four water quality indicators: dissolved oxygen, water clarity, chlorophyll a, and dissolved organic carbon. Together these indicators show us how hospitable the Sound estuary is to marine life. A new Report Card was released on September 24, 2018. In addition to the biennial printed report, the EcoReportCard website provides public access to all the data in the Report Cards, with tools to view trends over time and to take a deeper dive into each region and each water quality indicator. 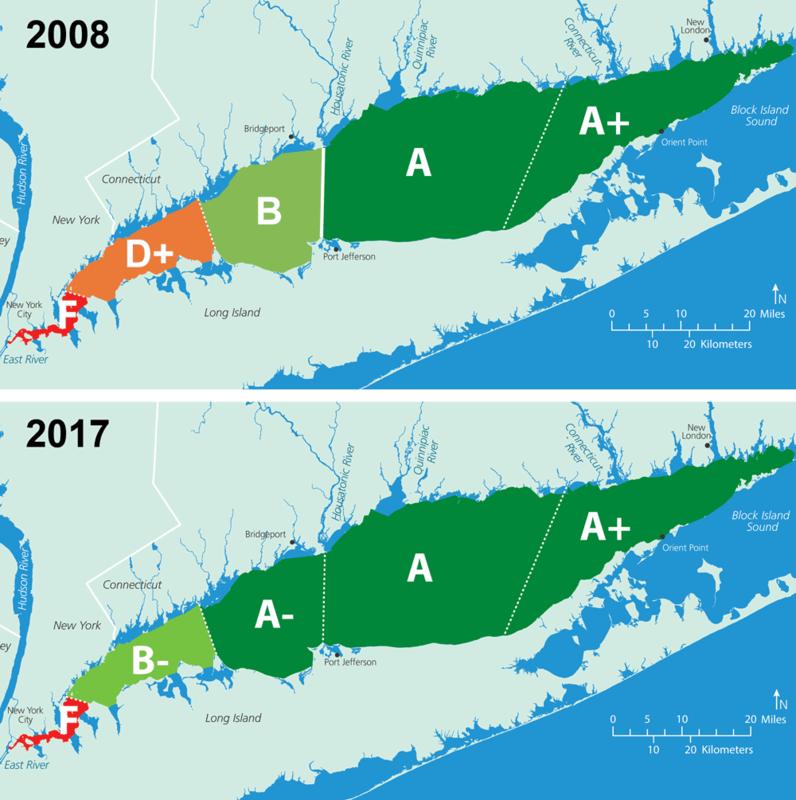 The biggest overall problem impacting the health of Long Island Sound is high levels of nitrogen and other nutrients, which contribute to dead zones, algae blooms, and marsh damage. Progress has been made in reducing nitrogen, especially from wastewater treatment plants—but further reductions are needed! Learn more about our nitrogen effort. Get more ideas on our What You Can Do page.